Messiah (literally, "anointed one") is a term for a savior or liberator of a group of people, which originated in Judaism, and is prominent in all the Abrahamic religions, but is also now used in reference to figures of many diverse ethnic, religious and social groups. 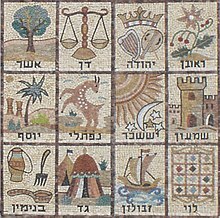 In the Hebrew Bible, a messiah (Hebrew: מָשִׁיחַ, Modern mashiaẖ, Tiberian māšîăḥ) is a king or High Priest traditionally anointed with holy oil. Jesus of Nazareth, who is accepted as the Christ (Messiah) of Christianity, is not accepted as a Messiah in Judaism. Islam accepts Jesus as both a prophet and Messiah, but notions of him as either God or the equal of God are rejected by both Jews and Muslims as idolatry. In Jewish traditions, the Messiah to come is thought to be a human leader, physically descended from the paternal Davidic line through King David and King Solomon, who will be involved in predestined accomplishments, including the unification of Israelites, the gathering in of Jews to the [[w:Land of Israel|Land of Israel], the ushering in of a Messianic Age of world peace and the annunciation of the World to Come. I am no more messiah than you The river delights to lift us free, if only we dare let go. Our true work is this voyage, this adventure. Whether it be a lamb having its throat cut ritually, or a Messiah nailed to a cross and "dying for your sins". Somebody should tell all of Yahweh's followers, Jews and Christians, that there is no such thing as a free lunch. The real crazies who are looking for a messiah... after an hour or so they realize I'm not it and go off and look somewhere else. I forgot to tell you — the spice exists on only one planet in the entire universe. A desolate, dry planet with vast deserts. Hidden away within the rocks of these deserts are a people known as the Fremen, who have long held a prophecy that a man would come, a messiah who would lead them to true freedom. The planet is Arrakis, also known as Dune. Even on important issues, like Moon's claiming to be the messiah, there are church members whom I met, including a close aide to Moon, who demur. A religious leader whom they respect and whose theology they believe, yes; the messiah, perhaps not. I fancy that this moment Shakspeare in heaven ranks with Gabriel, Raphael and Michael. And if another Messiah ever comes twill be in Shakesper's person. Having lived all my life in a country swarming with messiahs, I have been mistaken, perhaps quite naturally, for one myself, especially by the others. It would be hard to imagine anything more preposterous. I am, in fact, the complete anti-Messiah, and detest converts almost as much as I detest missionaries. My writings, such as they are, have had only one purpose: to attain for H. L. Mencken that feeling of tension relieved and function achieved which a cow enjoys on giving milk. Further than that, I have had no interest in the matter whatsoever. Now, you listen here: 'e's not the Messiah, 'e's a very naughty boy! Now, go away! Brian: I'm not the Messiah! Arthur: I say you are, lord, and I should know, I've followed a few! Brian: ...Will you please listen? I'm not the Messiah! Do you understand? Honestly! Woman: Only the true Messiah denies his divinity! Brian: What? Well, what sort of chance does that give me? All right, I am the Messiah! Crowd: He is! He is the Messiah!